ENCINITAS — A Santa Barbara-based natural grocery store is making their first foray into the San Diego County market, and has chosen Encinitas as its first location. Lazy Acres, which currently only has two locations, is opening in October in the shell of the former Smart & Final and Petco locations at 150 Encinitas Blvd., just west of Interstate 5. Smart & Final closed that location three years ago and Petco closed in 2015. The grocer — whose parent company is the better-known grocer Bristol Farms — specializes in organic produce, meats and seafood, and an expansive section of prepared foods, vitamins and natural supplements. Store officials said they were excited to delve into Encinitas, a community known for its health-conscious clientele. Lazy Acres enters a community that has its fair share of high-end natural grocers, from Seaside Market in Cardiff-by-the-Sea to Whole Foods and Sprouts locations on Coast Highway 101 and Encinitas Boulevard respectively. It also is in a shopping center that has languished since the loss of its Smart & Final anchor. Dominguez said the company doesn’t see these as hurdles, but rather opportunities for a new player to join the market. 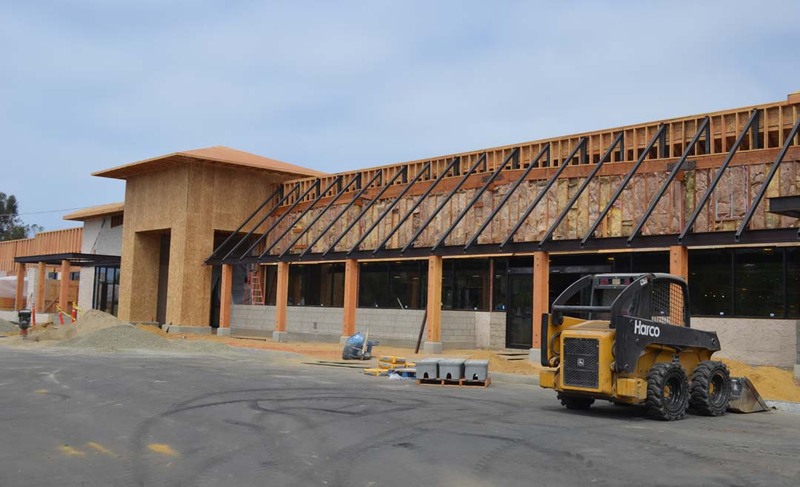 Dominguez said what he hopes will set the chain apart is that he wants it to be a one-stop location that grows with the community and its interests, taking some cues from failed grocer-chain expansions in recent years, such as Fresh & Easy and Haggen. “We don’t want to make the same mistake Haggen made, they didn’t do a very good job and they grew a little too fast,” said Dominguez, whose company will open its second San Diego location in the shell of a former Haggen in Mission Hills. “We want to grow slow so that we make sure we are doing the right things for the community by listening to what their needs are and providing those services. When you grow so fast, you can’t listen. “We want to get it right,” Dominguez said. The Encinitas location is hiring and looking for 140 prospective employees with an emphasis on those with experience in the hotel and restaurant industry. Interested parties are asked to visit the website at lazyacres.com/locations/encinitas.html.